I can't believe it's that time again!I love fall and Halloween! This year I have been unable to decide on an actual costume. So I picked two. One costume is a funny couple costume and the other is a Harry Potter character. I was going to go with Game of Thrones, but maybe next year! Anyway, aren't all these cupcakes too cute! I love it! I hope I find some time to bake some cute cupcakes. 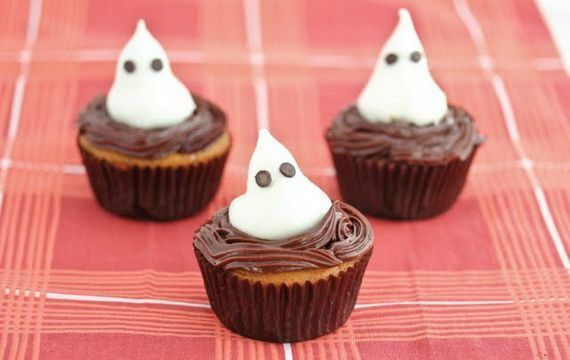 I really like the cupcakes with the pumpkin shape in the middle!